Chi-X Global could expand on three fronts in Asia over the next few quarters, but CEO John Lowrey believes Chi-East – the first exchange-led dark pool in the region – could be the real “game-changer”. Chi-X Global could expand on three fronts in Asia over the next few quarters, but CEO John Lowrey believes Chi-East – the first exchange-led dark pool in the region – could be the real “game-changer”. The trading venue operator and technology provider will go live on 29 July with Chi-X Japan, a proprietary trading system (PTS) that will offer trading in Tokyo-listed stocks, but it will soon see other elements of its Asia expansion strategy bear fruit. Lowrey sees the launch of the firm's Japanese platform as “a big step for us and a big step for the Japanese market” – not least because PTSs will be able to clear via the Japan Securities Clearing Corporation for the first time and therefore offer anonymous trading to institutions. “But we are also focused on opportunities to add liquidity to markets across Asia,” he confirms. Lowrey says the firm's track record is strong in this respect, asserting that 60% of trading on Chi-X Canada is generated by new market entrants. to allow exchange competition, Chi-X intends to introduce a share trading platform for ASX-listed stocks in the first quarter of 2011. Another cornerstone of Chi-X Global's expansion plan is Chi-East, a joint venture between Chi-X Global and the Singapore Exchange. 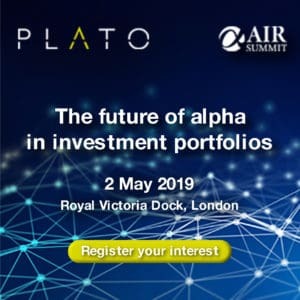 The platform will provide a non-displayed venue for securities listed in Australia, Hong Kong, Japan and Singapore and will act as an independent liquidity aggregator for the sell-side. Subject to regulatory approval, Lowrey expects Chi-East to start trading later in the third quarter of this year with around five to ten trading participants. He expects a similar number to start trading on Chi-X Japan at launch, but there are also key differences between the two. As in Europe, Chi-X entered Japan with its own branded exchanges but Chi-East and other more recent initiatives – such as the firm's foray into FX in Brazil – has shown another side. According to Lowry, partnership initiatives and sales to third-party exchanges in strategically important markets are as integral to Chi-X's growth as the trading platforms it operates. “We're moving from being known for our trading technology to delivering products,” says Lowrey. Another key difference is that Chi-East is a purely non-displayed venue. Dark pools have been treated with suspicion by a number of exchanges and other market participants in Asia and now face tighter regulation in the US and Europe. In the longer term, Lowrey expects dark pools globally to migrate from being broker-led platforms to being positioned more firmly in the exchange space. To date, brokers have used dark pools and crossing engines to automate the internal matching of order flow, rather than trading all orders on exchange, but Lowrey cites a recent uptick in dark volumes on NYSE Euronext's Smartpool, the London Stock Exchange's Turquoise and Chi-X Europe's Chi-Delta as evidence that exchange groups are making steps from primarily offering a matching service to providing a wider range of services that form an “eco-system” for the wider financial market community. 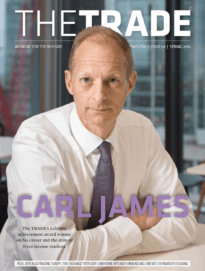 “Internalisation is one of the most valuable areas of the market today, but the mechanics will morph to the lowest-cost providers – and that won't be brokers,” he says. Moreover, Lowrey suggests regulators might also welcome a greater role for exchanges in dark trading. While exchange operators are required to establish transparent order handling practices, this is not necessarily the case for brokers. “The main concerns regulators have are more over internal dark pools than exchange dark pools,” he observes.